The Vol. 3, No. 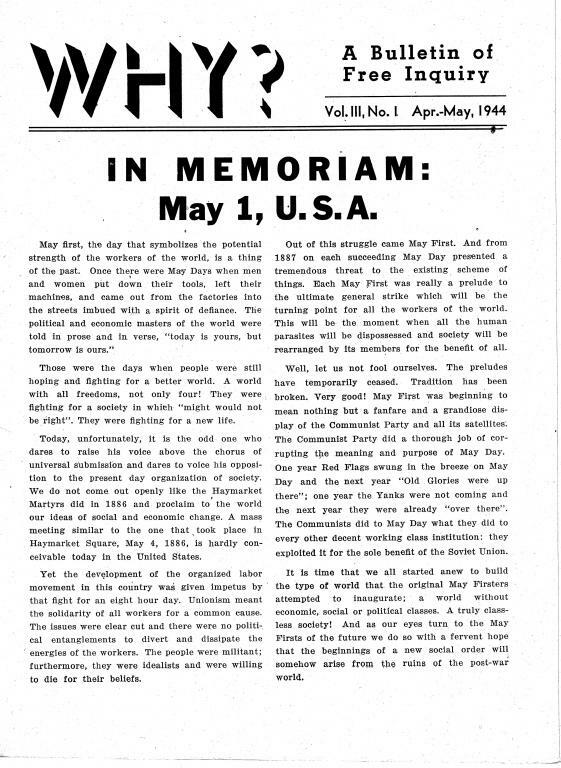 1 (April-May 1944) issue of Why?, an anarchist publication produced out of New York City from 1942-1947. -War and ideals by C.B.